More is always better, right? That statement certainly rings true when it comes to having enough liability insurance to protect your food truck business in the event of a claim. But what about that unexpected, who-would-have-ever-thought-of-claim that you never saw coming? In this installment of our Food Truck 101 Owner’s Insurance Guide, we’re going to help you understand what an umbrella insurance policy is and what it can do to protect your business against the legal ramifications that could cause your business to suffer a permanent financial setback. As a food truck owner, you’re exposed to many risks. And chances are the amount of liability protection from your general liability, commercial auto, and hired and non-owned liability policies may not provide you with enough protection in the event of a devastating financial loss. This can leave your business and assets open to substantial risk. An umbrella policy’s job is to add an additional layer of liability insurance to your general liability, commercial auto, and hired and non-owned auto insurance policies. It essentially goes above your existing policy limits. So in the event you are involved in a lawsuit and were forced to pay damages, your umbrella policy would pick up where your existing policies leave off. A customer trips and falls on an extension cord left out by an employee and is seriously injured, and you get sued. While driving their own car to the store on behalf of your business, an employee accidentally strikes a pedestrian, and you get sued. Your latest advertisement accidently lists the wrong number, causing thousands of annoying phone calls at an unrelated business, and you get sued. It seems as though everywhere you look someone is suing someone else. Unfortunately, when you open your doors to the general public you never know what can happen and who may bring a lawsuit against your business. The fact is, if you’re sued, you could be responsible for paying the winning party for cost such as ongoing medical expenses, lost wages, and damages for pain and suffering for as much as the court demands. How an umbrella policy works is really very straight forward. For example, let’s say a customer with a food allergy becomes severely ill and sues your business. As part of the settlement, they are awarded $1.5 million. However, your general liability policy can only provide $1 million in coverage. Your umbrella policy would cover the additional half-million dollars. And in addition to paying court awards, an umbrella policy covers your legal expenses, as well as lost time away from your business (for example, if you need to hire additional staff to run your business while you’re away defending yourself). A commercial umbrella policy can be purchased in increments of $1 million with up to $5 million of additional coverage, but it’s possible to get more if you have significant assets or may be especially susceptible to lawsuits. Many commercial umbrella insurance policies exclude employment practices liability, professional liability, product recall coverage, and workers’ compensation insurance. If you think you might need additional liability coverage in these areas, discuss with your agent what options may be available for your particular business. A commercial umbrella policy can be a cost effective way to increase the protection on your food truck business without having to increase the limits (and consequently your premiums) on your existing business insurance policies. This allows you to spend less each month on premiums without compromising your coverage. It’s also an easy way to extend your coverage limits on multiple business insurance lines by having just one policy that can cover many other policies. Because most lawsuits brought against food truck owners/operators tend to stem from food related claims and auto accidents, chances are claims will be high-dollar in contrast to a brick and mortar store that doesn’t move around. Having the added protection of an umbrella policy is an easy and cost effective way to safeguard your business against large claims. 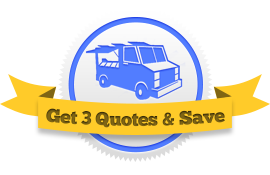 At Food Truck Insurance HQ we can connect you with three agents who can help you shield your food truck business from an unforeseen and potentially devastating financial loss with a commercial umbrella liability policy.